At the new Hope Gate, the western entrance to The Royal Botanic Gardens, Edinburgh, David and Heather spotted a local tree. 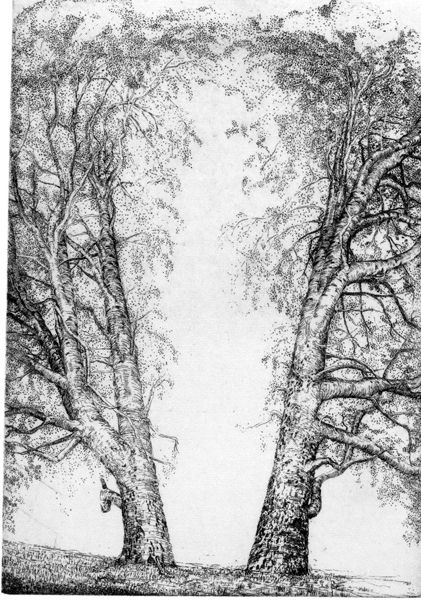 Well, it is an etching of two local Aspen trees. 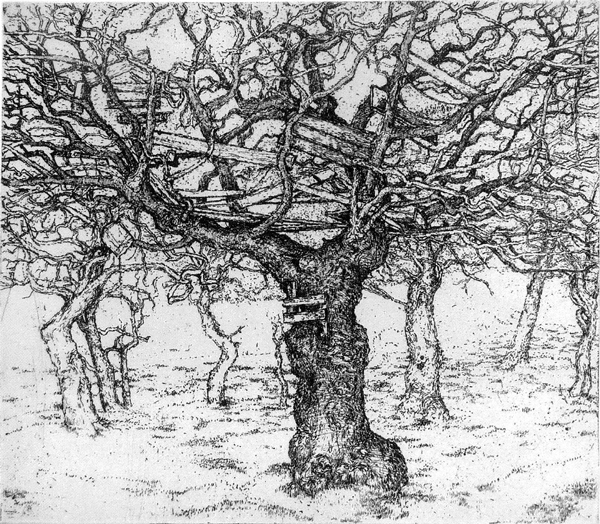 Dornoch, Sutherland artist Ian Westacott has an exhibition of ‘Venerable Trees‘ now being displayed at the Hope Gate. These Aspen trees are growing west of Ardgay, near a Champion Tree, also Aspen, as described by John Miller. John Miller has lead two TDFC excursions examining local trees. 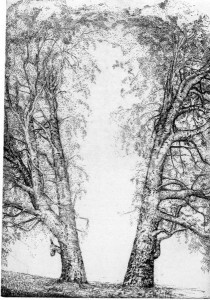 Betty Wright has kindly lent a photograph of Ian Westacott’s Aspen trees which gives insight into how they are an inspiring pair. 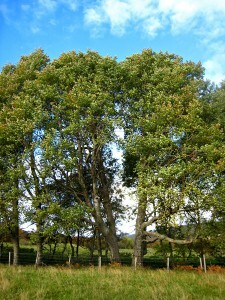 These trees can be seen growing in a fenceline by Dounie just west of Gledfield, Ardgay, in plain view of the road. 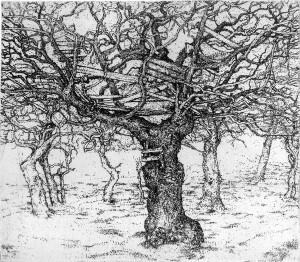 Another local tree is in Ian Westacott’s exhibition, this one is called the ‘No Worry Tree’. This tree is in the Gearrchoille, Ardgay. We have no photo of it. Can you supply one?